A turbine 476 feet tall at the tip of its upright blade towers over construction cranes and trees in Township 16 in eastern Hancock County on Tuesday, Sept. 25, 2012. It is one of 19 turbines recently erected in Township 16 by First Wind. The company hopes to have the turbines generating electricity and connected to the regional distribution grid by the end of October, according to a First Wind official. 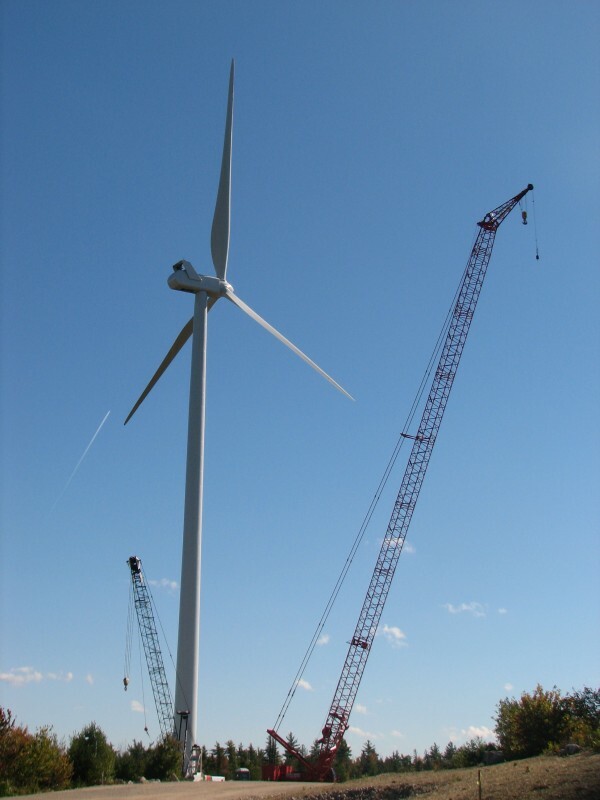 ELLSWORTH, Maine — Now that it has brought its new, 19-turbine Bull Hill Wind project online in eastern Hancock County, First Wind is looking to expand its presence nearby.